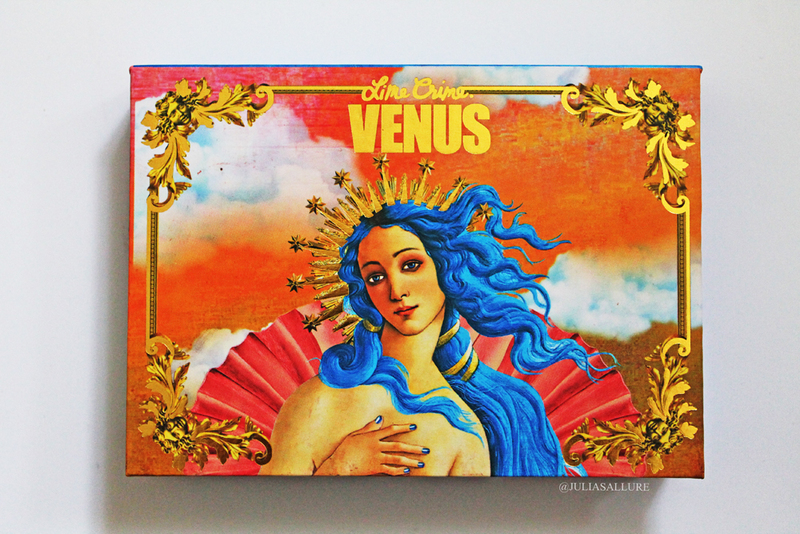 As soon as I began seeing images of Limecrime’s first eyeshadow palette “Venus: The Grunge Palette” I knew it had to be mine. If you’ve been following me on Instagram (@juliasallure) or are not a stranger to my blog, then you know my love for warm, burnt oranges and coral eye shadows. They’re honestly my weakness. I am drawn to warm colours in general and feel on the eyes they just give your face a certain look that I feel is flattering for any eye colour. Having blue/green eyes I feel warm shades look the best on me personally as I don’t really go towards greens or purples. 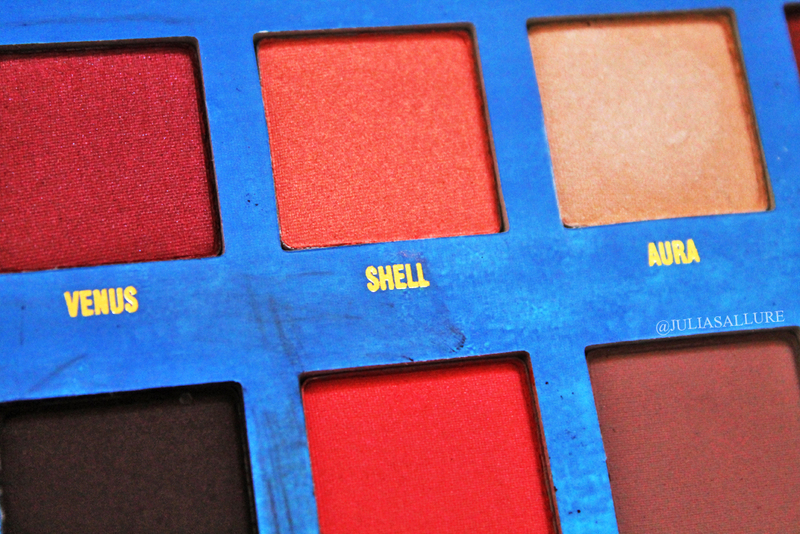 With that being said the shades in this palette would look amazing on pretty much everyone. If you’re not a fan of warm, burnt shades then I would not suggest this palette as the majority are as such. 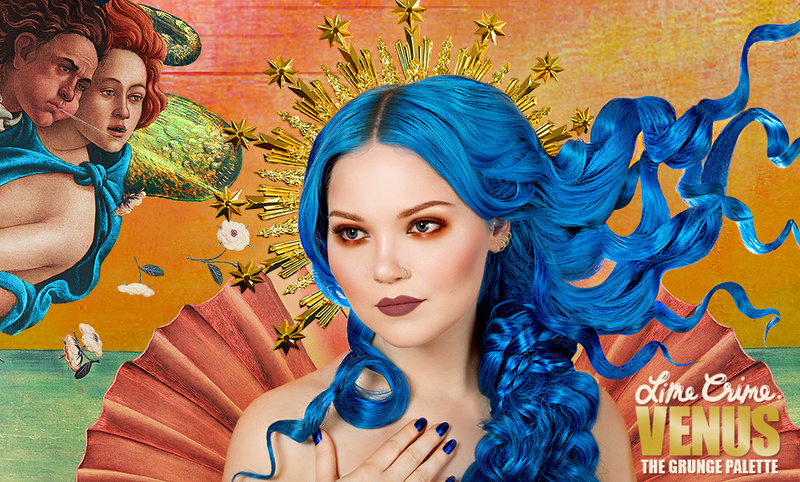 I’m all about those golds and really love the Botticelli “The Birth of Venus” inspiration. (Having studied art I appreciate the reference) & think it’s a cool inspiration for a palette. The palette retails for USD$42.00 which was kind of pricey to me but hey, that didn’t stop me from buying it! 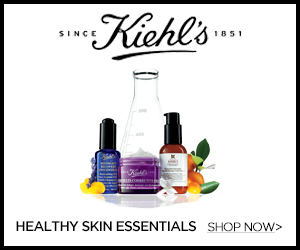 You can purchase it online from their website The good news is that this palette will be PERMANENT. So there’s no rush, it will be around. All of the shades except two are said to be matte but I wouldn’t say they are all completely matte. Some of the “matte” shades are more matte than others.. if that makes sense. 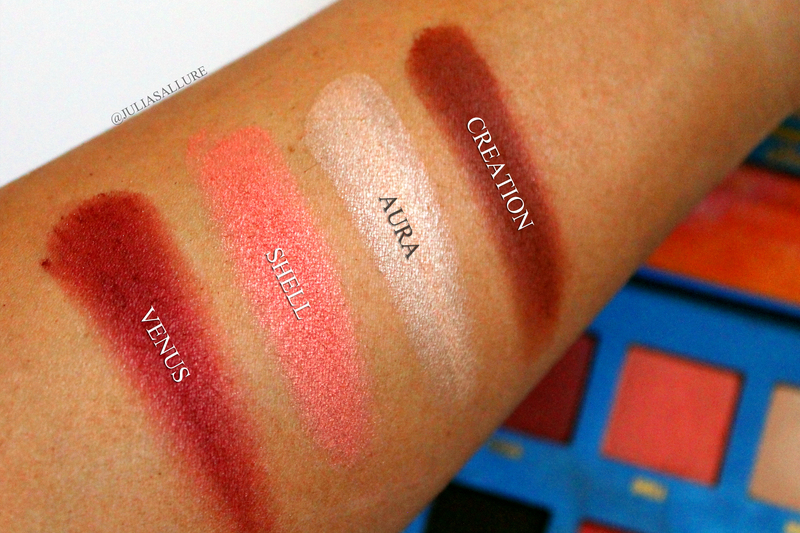 The shade “Venus” is described as a “Velvet matte” which is true as it is not completely matte. Now for the swatches… I used NO PRIMER for these. As you can see the shades are all pretty pigmented. The only one I felt could have been better would be “Shell”. It’s a gorgeous colour but I felt I had to work with it more to get the pigmentation I desired. Being a shimmer shade I definitely would have thought it would be on point but it just wasn’t. Some shades can be a little more powdery than others but they still have a good pigmentation (just a warning) Other than that I truly adore this palette. 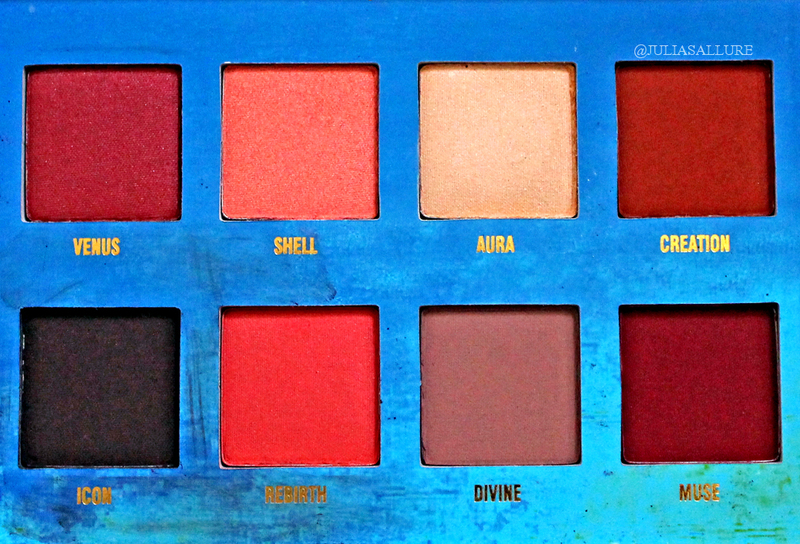 The shades are gorgeous and they’re right up my alley. 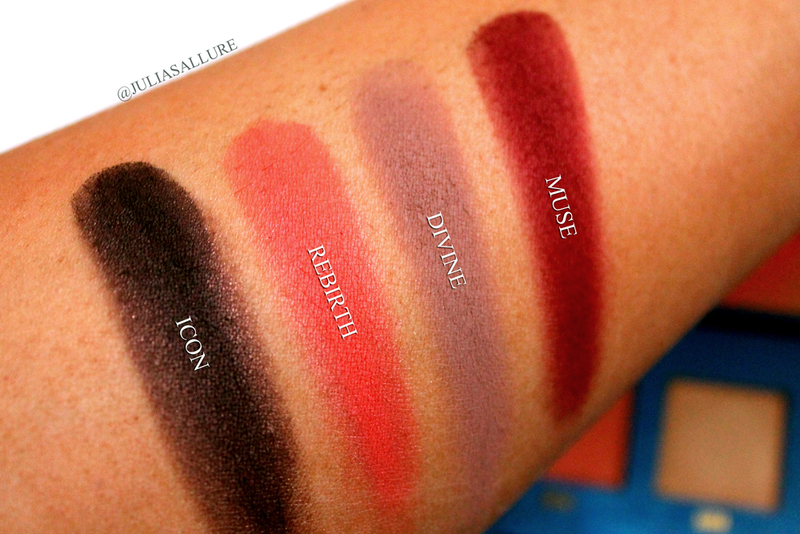 So like I said, If you are a lover of warm shades, this palette is for you. 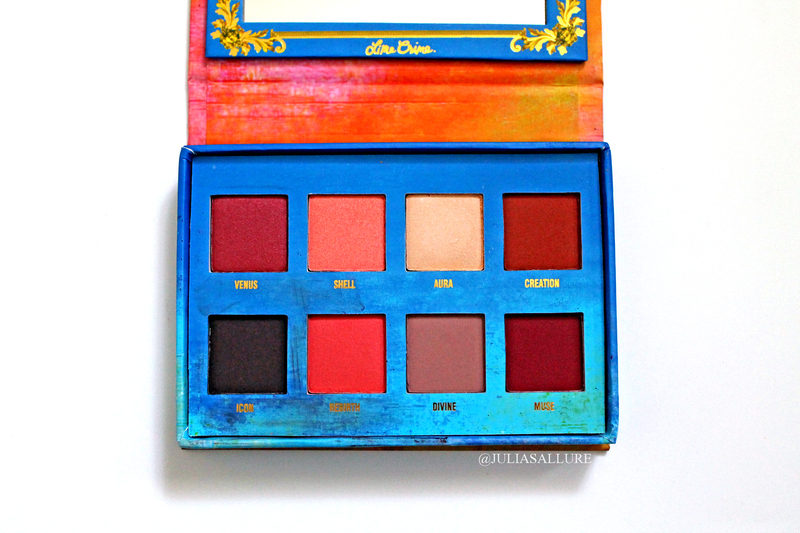 If you bought this palette let me know what you think! It is so beautiful! I wasn’t able to buy it before it sold out, unfortunately. So gorgeous! Oh my gosh, I heart everything about it! At least it’s permanent! I don’t know what it is about this palette, but the shadows have a staying power I have never experienced with any other shadow (I always do use a primer). 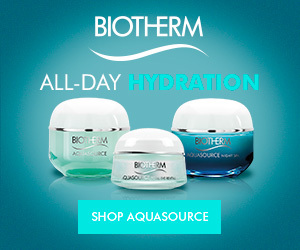 Perhaps it is the formulation, perhaps it is the freshness of the product…but I can sleep, tossing and turning and rubbing my eyes into my pillow, and these shadows look as fresh as they do when I apply them. I work crazy shifts – normally, I am applying makeup at 1am and stick with that for the rest of the day. You wouldn’t know it by looking at me come early evening. 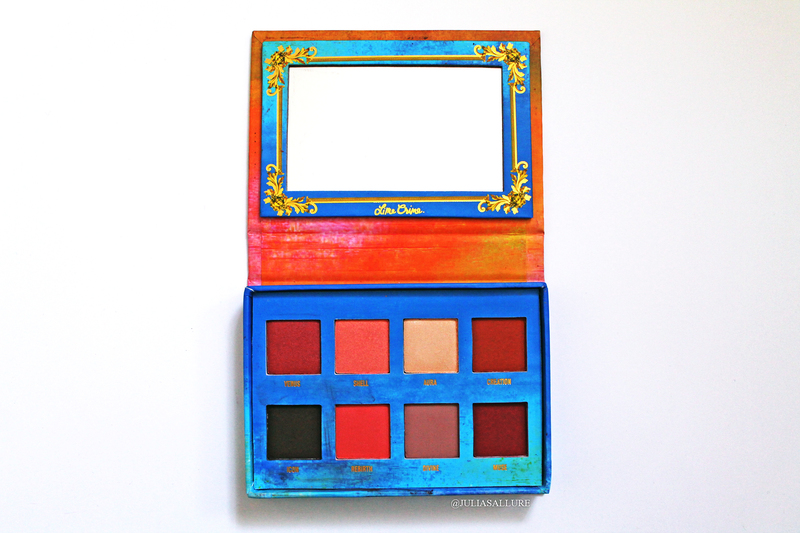 I cannot say enough about this palette. I was lucky to get this before it sold out,usually I miss out the first time stuff come out but this time I was able to purchase it before they were gone,but I just received it today and I will admit I wasn’t keen on the idea that lime crime brought out neutrals but when I actually saw the shades I was amazed,they weren’t kidding that these are not ordinary boring neutral shades because I haven’t really seen a pallete like it before,as for the pigmentation it’s incredible I am wearing the pallete today and I didn’t have to use much at all to build colour,I think in my opinion that these eyeshadows are as good if not better than some more widely known brands and it’s also one of the original neutral pallete out there and I usually am not a fan of neutrals. 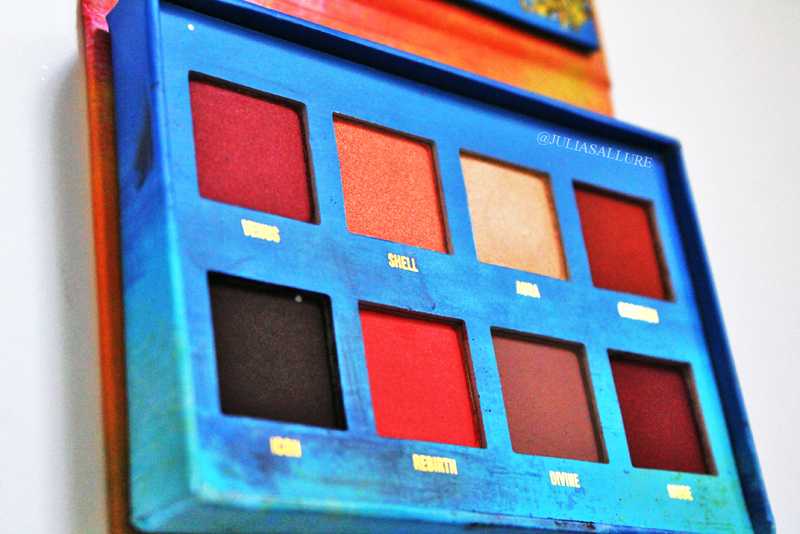 Yes it’s such a gorgeous, highly pigmented palette!